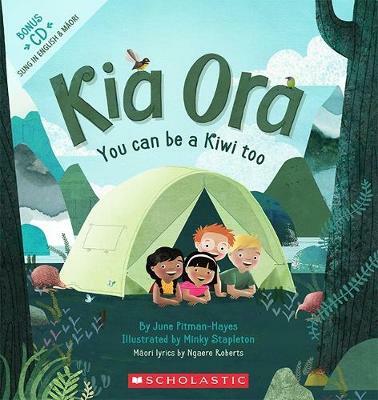 "A playful new singalong in English and Mori. Tamariki holiday at the beach, splash in water fountains, climb trees and toast marshmallows around a campfire all the things we love to do, and share with others. Because YOU can be a Kiwi too!" --Publisher information.